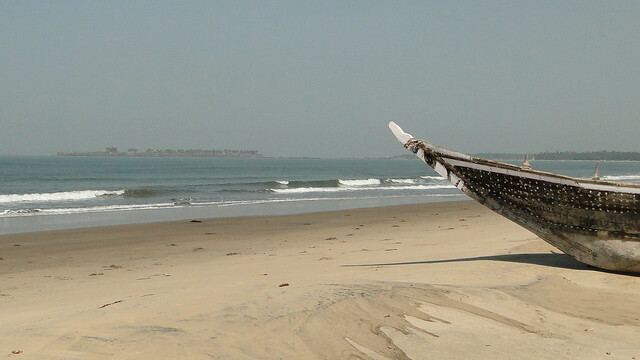 Tarkarli is famous for its fine beaches and water sports. Tarkarli has state's only scuba diving training center, The Indian Institute of Scuba Diving and Aquatic Sports (IISDA), which may soon get international accreditation. Tarkarli is best visited during the months of November to February. But if one wants to experience the cultural spirit of the place, Tarkarli is best visited in March, when Ramnavami Utsav is celebrated in the Mahapurush temple. Cultural programs and drama are organised during the festival. Apart from these, tourists can also visit: Mahapurush Temple, Khalcha Mahapurush Temple, Vitthal Temple and Sindhudurg Fort at Malvan. Sangam, is the point where the Karli river drains into the Arabian sea and not far from here.